For someone who’s worked with Hell’s Kitchen’s Gordon Ramsay, chef Demar Regresado is pretty unflappable. It looks like nothing will faze this guy—although I suppose that’s what you’d expect from someone who’s had more than three decades of culinary experience. He started out peeling potatoes at the Michelin-starred Aubergine run by Ramsay in London. He eventually formally learned culinary techniques in Glasgow and has since went on to work at restaurants in England and the US. And like many chefs, he too dreamed of having a restaurant to call his own. But opening one in his homeland wasn’t part of the plan. 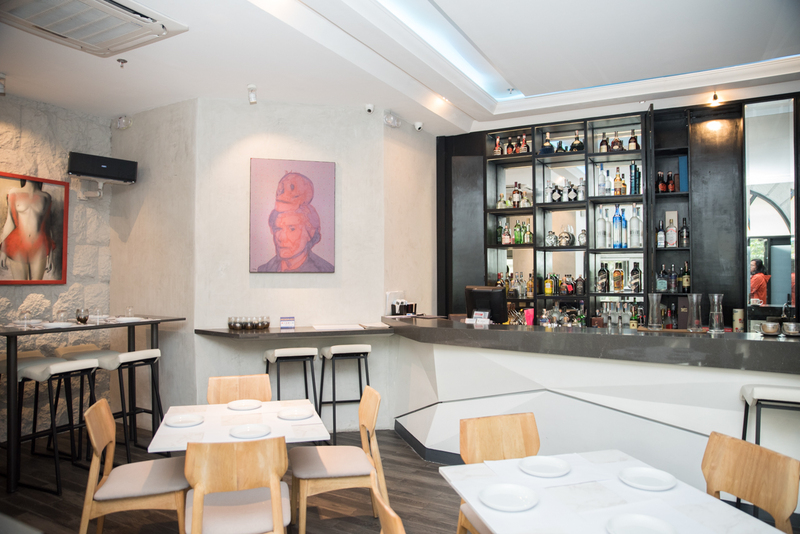 Mews is Regresado’s second venture into the local restaurant scene. Now, he says, this is where he can ultimately be more artistic. And where he can attempt to get a Michelin-star for the country, too. The salmon gravalax is cured with beetroot, giving it a deeper red color. 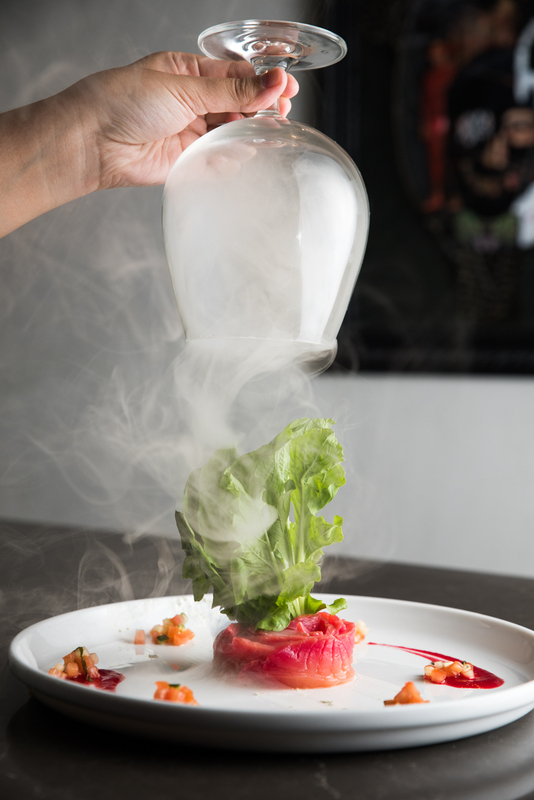 It’s also served covered by glass, which keeps in the flavor-adding smoke. 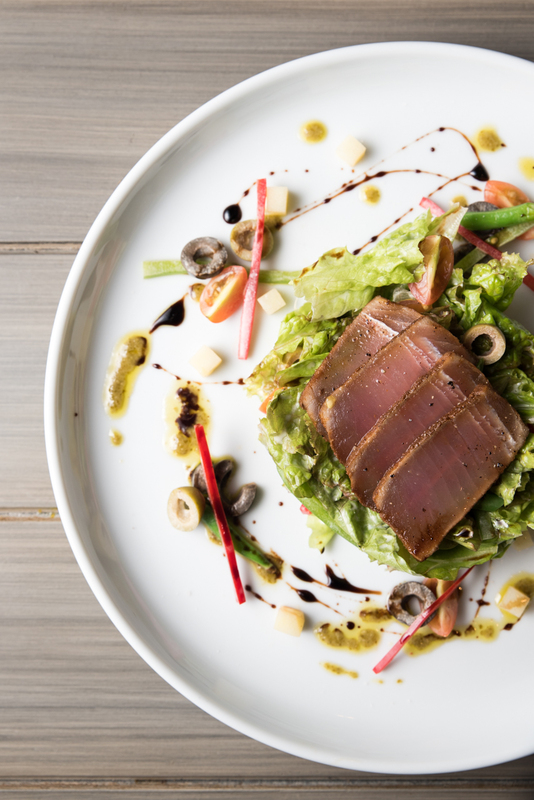 The tuna nicoise features sliced tuna served with quail eggs, tomatoes, green beans, olives, and crispy organic lettuce with classic French dressing. Although the menu is heavily inspired by his career abroad, Regresado insists on using local ingredients. Take Mews’ braised pork belly, for instance. Thick cubes of belly are flanked by an unexpected partner: croquettes made with ube. But this version of ube isn’t sweet—it’s starchy, like you’d expect from kamote. Except this time, it’s in a delightful shade of violet. The malunggay soup, meanwhile, is thick and tastes a little earthy. Our complimentary serving came in small glasses for sipping, making it a little reminiscent of matcha, another superfood. 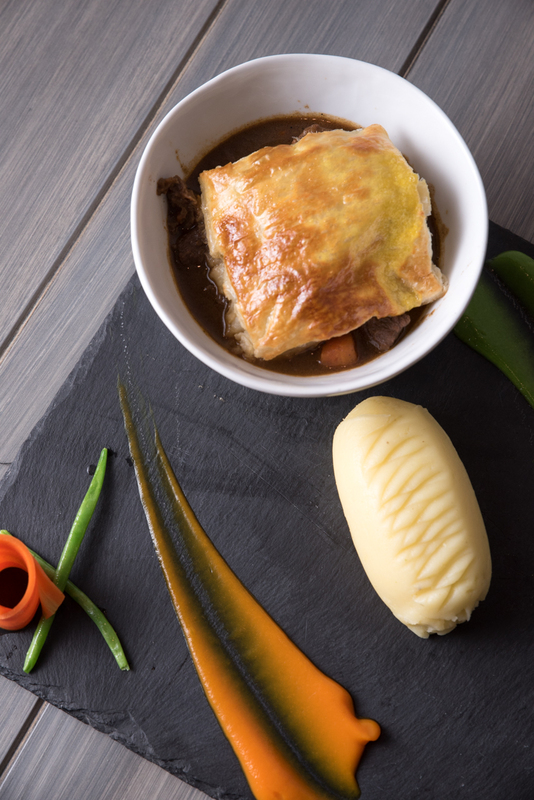 My personal favorite though is the Guinness steak pie, which features a steak stew topped with a soft pie crust and served with finely mashed potatoes on the side. There’s a balance of bitter, spicy, and sweet in the King Prawns, thanks to the mix of rocket salad, chili oil, mangoes, and prawn meat. Cubes of braised pork belly flanks pieces of ube croquette. The Guinness Steak Pie is primarily a stew-like dish topped with pie crust. The mashed potato served along with it is super fine. Mews also features several artworks around the restaurant. They hope to hold art events in the future, as well. Chef Demar Regresado started working for Gordon Ramsay at 16 years old. 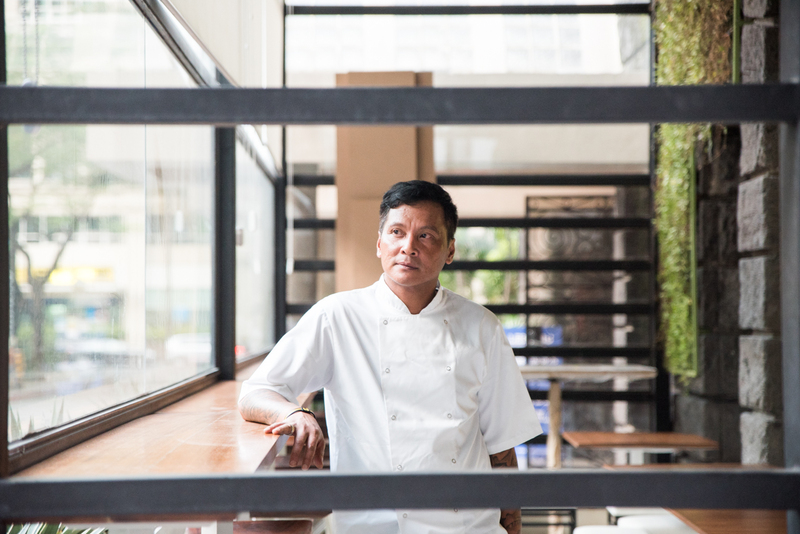 Mews is his second venture; the first restaurant, DeMar’s, was located in Antipolo. For those looking for lighter fare, go for their various seafood starters. 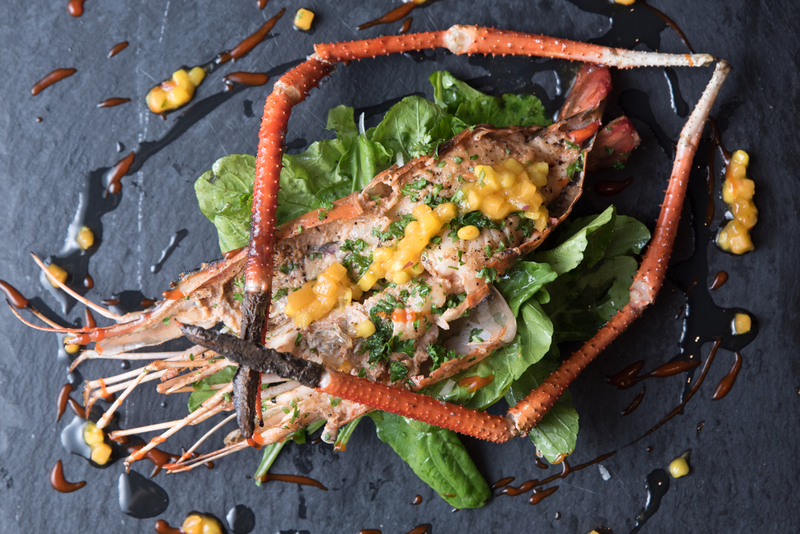 The king prawns is a standout for the tender prawn, made mildly sweet with mango and papaya. It rests on a bed of rocket salad. The salad leaves have a slightly bitter, peppery bite to them and, mixed with the chili oil sprinkled over it, contrasts sharply (but well) with the mild prawn. Lava rocks are also used at Mews instead of the usual charcoal when grilling meat. This cooks the meat more evenly, and lessens the need to keep a flame or smoke, which could potentially be cancerous. 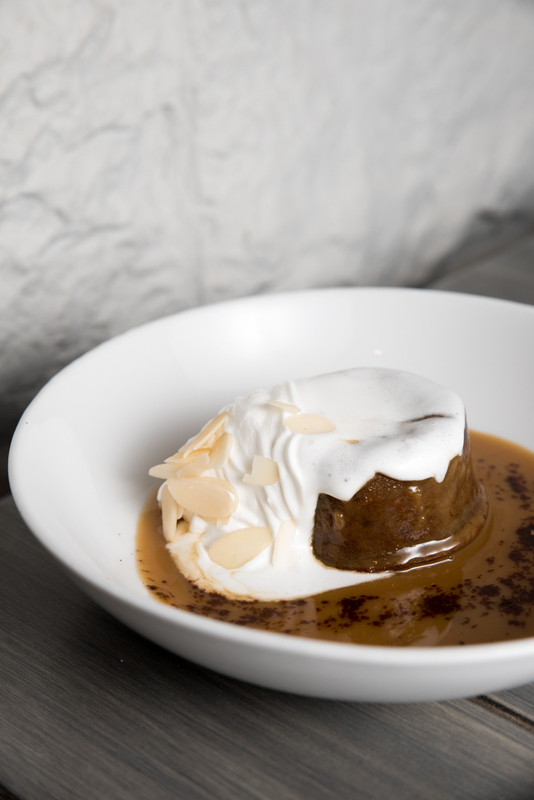 Sticky toffee pudding for dessert. Not too sweet, but dense. Best eaten with a dollop of sauce and cream. 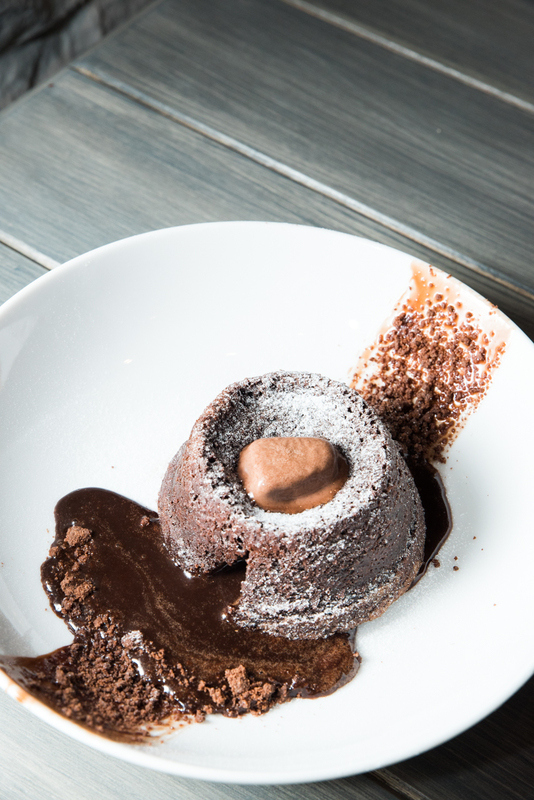 A classic: Chocolate lava cake. Mews’ version is filled with molten Belgian chocolate. Mews may very well be a translation of the chef’s life—honed by the West and yet still local in essence. It is adamant in melding local ingredients with European recipes, all while keeping it in a modern, unintimidating space. Will this be our first Michelin-star? Who knows. But as long as someone’s actively aiming for it, I’d say we have a shot. 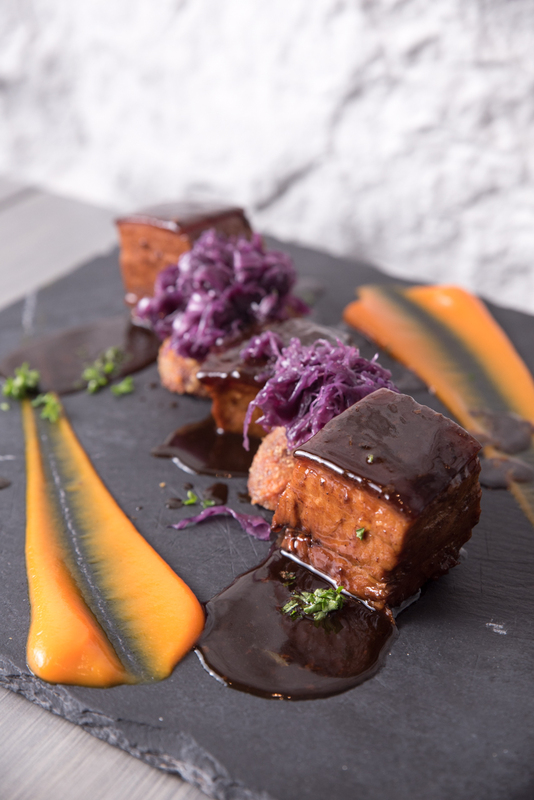 If you want to get a taste of what it’s like to adapt local ingredients to western cuisine, try the braised pork belly with purple yam croquettes.